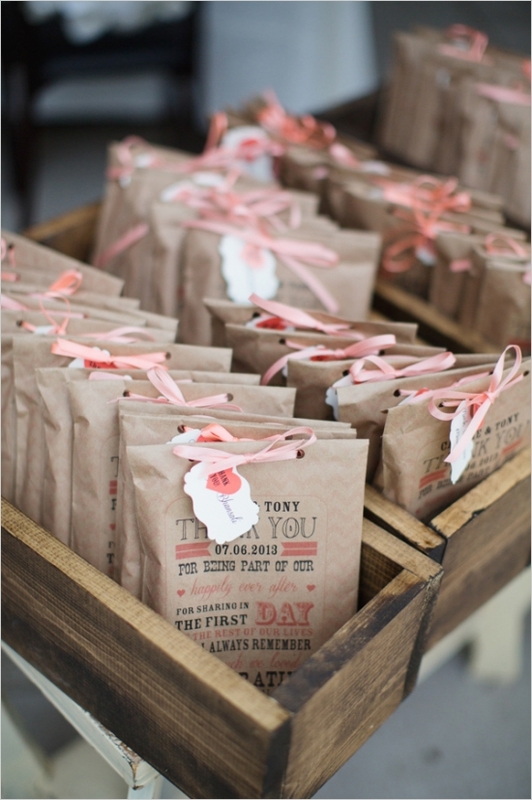 Wedding cookie favors are sweet celebrations of the occasion. Everyone loves cookies, both young and old, and there are a variety of wedding worthy choices. 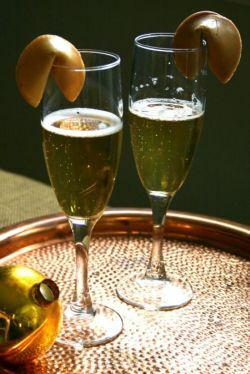 Cookies offer many unique presentation ideas and allow you to express yourself creatively with little effort. 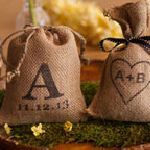 While weddings tend to be somewhat traditional, guests will appreciate fresh ideas that make the wedding favor exciting. 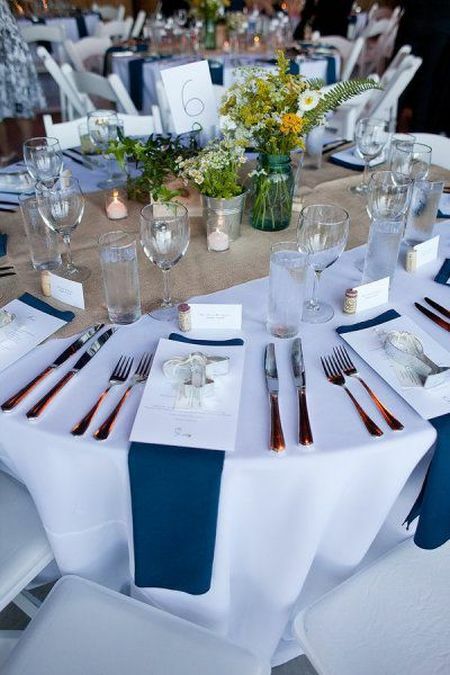 Whatever your style, there are memorable ideas to fit your theme from rustic to sophisticated. So, pull out all the stops in decorating and celebrating with cookies. 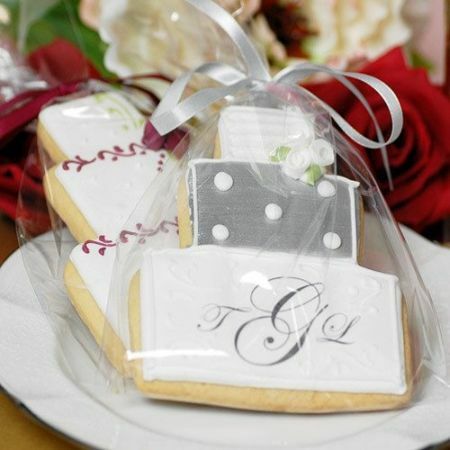 Give your guests wedding cookie favors on your special day. 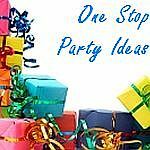 A huge concern for today's bride is choosing a favor that will be used and enjoyed. So why not choose a personalized, scrumptious, dazzling cookie. If you love cookies, then let us show you how a collection of simple cookies plus a few well chosen decorative elements can provide a gorgeous cookie bar for your wedding reception. 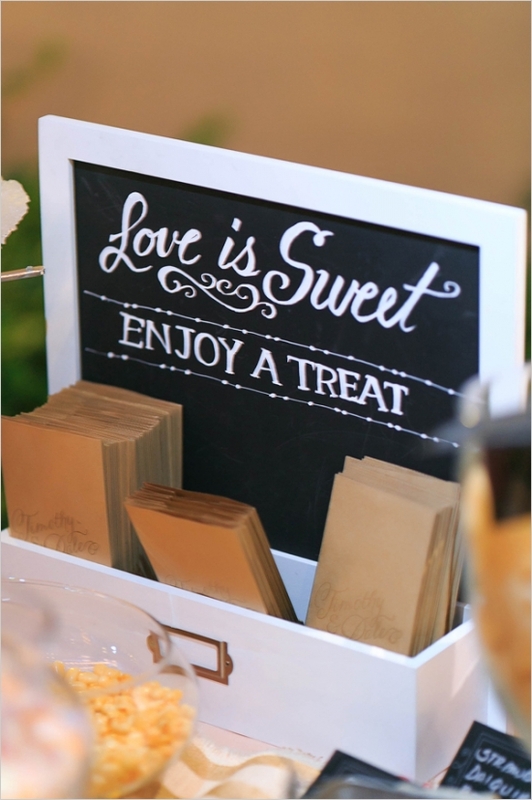 One of the sweetest trends today, give them favors they will eat up and at the same time add to the wedding decor. Edible favors are always a guest favorite and decorated wedding cookies are a blank canvas. 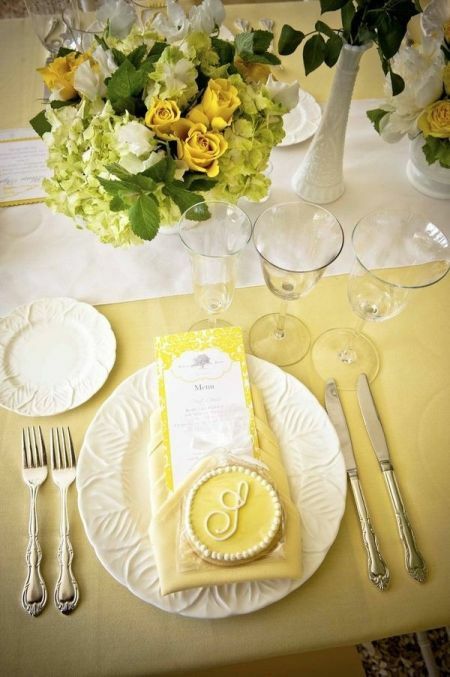 The freedom to choose the size, shape, and color of the cookie favors can be personalized to match any wedding style. Scrumptious cookies baked with love, designed to delight, iced to enjoy that taste as good as they look. In the pursuit of an extravagant cookie presentation, we have collected ideas that make as dramatic a statement as possible. He loves me, he loves me not. He loves me, we tied the knot! Confucius say...Jack & Jill make most beautiful couple! 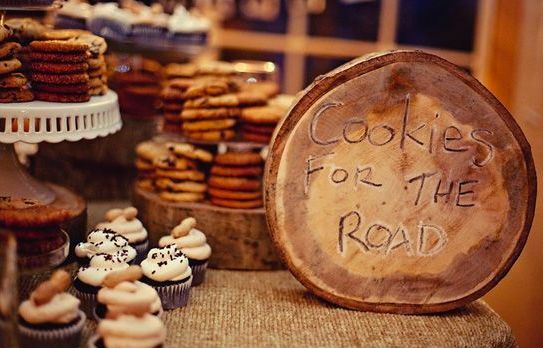 The world's favorite cookie has been invited to wedding receptions everywhere. For the formal invitation, Oreos have been showing up decked out in full wedding attire. For the more casual invitation, nothing is more delicious than Oreos with a shot of cold milk to chase them down. 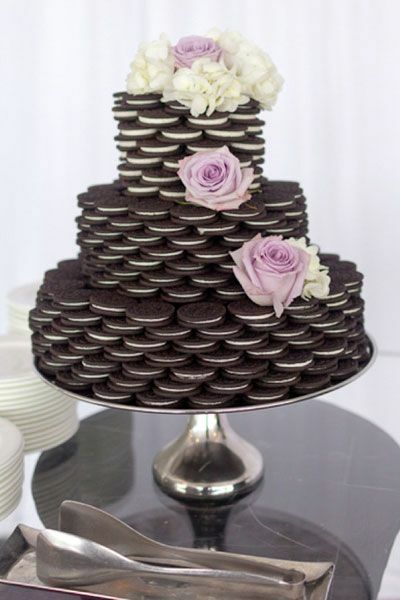 For the special invitation only, Oreos really take the cake. Customized to match any wedding decor, we found unique ways to present this tasty wedding favor with a new twist. 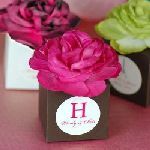 Cookie cutter favors are diverse and usually complement the theme or season of the wedding. With the vintage look being all the rage these days, cookie cutter favors have enjoyed a recent surge in popularity. Though the trends in wedding favors may change from year to year, one thing remains the same-the symbol of love and unity that this token represents. 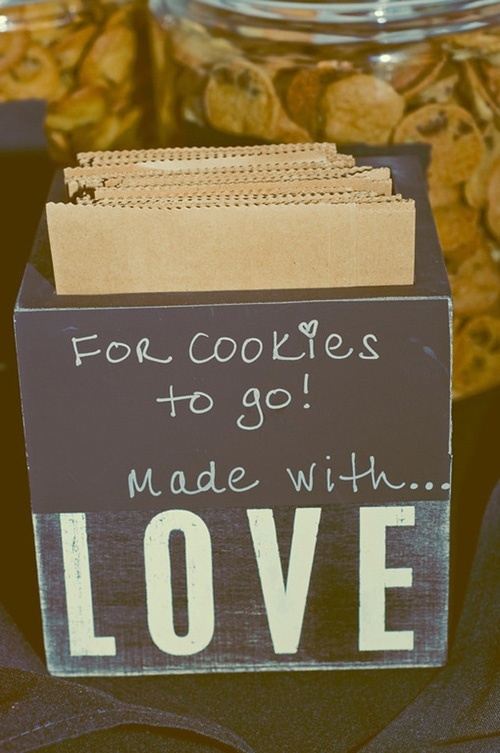 What makes a great wedding cookie favor? Choosing something that is meaningful to the bridal couple and presenting it to guests in a noticeable way. 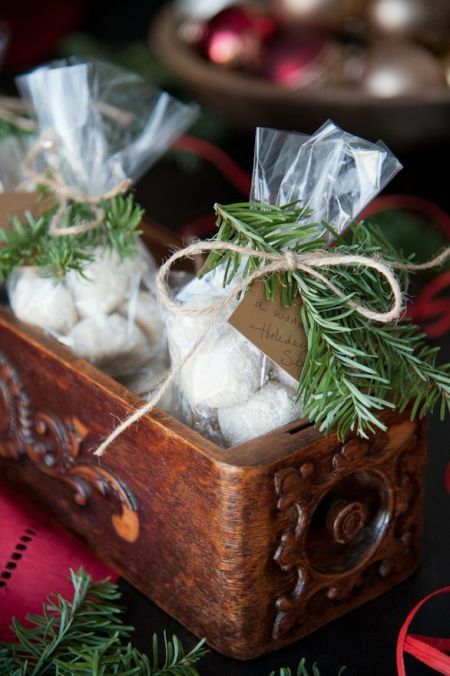 Simply stick to a palette that will seamlessly blend your wedding cookie favors with your decor. Then add the secret ingredients: things you love! And if one of the things you love is Danish wedding cookies, then you will want to see some of the presentation ideas that we found. Yes, a bride's favorite cookie can be presented in a brand new way, but the delicious taste of these powdery treats stays the same. There really isn't a cookie more simple and rich in old world tradition than biscotti. When biscotti is dressed up for the wedding, it appears quite formal, but upon looking closer it becomes apparent that all of the elements are quite simple. This simplicity allows you to determine if a casual or fancy look is right for you. 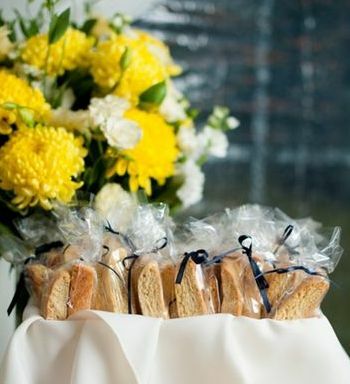 Biscotti favors make wonderful gifts as they can be tied with a ribbon, labelled with a personalized tag, and placed in an attractive setting.